I just saw an e-mail the other day telling me about $400/$500 round trip flights to Tokyo during cherry blossom season. Um, what? If you want to see a little bit of everywhere and don't have one set place in mind, sign up for Scott's Cheap Flights to get notified of amazing deals for sites around the world! Ever heard of Hopper? I used this handy app a ton to find cheap flights and when the best time was to buy tickets. Of course, if you've followed along on my social medias, you'd know I've since upgraded to working at the airport, which has massively helped me travel cheaply. However! I booked quite a few trips before on Hopper, and I can definitely recommend it to everyone. I once took a two day trip to Mexico with a friend, and the total amount paid for my half of an AirBnb was $30. Trust me, AirBnb is sooo worth it, especially if you can split the cost with some travel buddies. Just make sure to find a place with a solid amount of positive reviews! If you want, use my AirBnb code (HERE) to save us both some money! One of my favorite ways to get a taste of the place I'm visiting (literally) is to buy treats and dishes from locals and street vendors. Some of the most delicious foods I've tried have come from the not-so-polished streets and alleys most tourists avoid. 5. 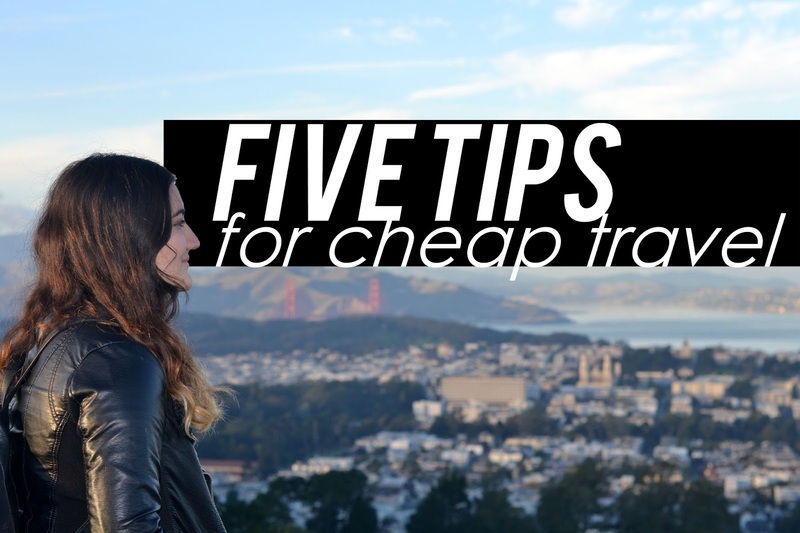 Take a certain amount out of your paycheck every time and save it for traveling. There are apps created to help you do this (I hear Acorn is a great one! ), but since I have a part time barista job, I usually take all the tips I make from my shift and stuff it in a wine bottle. Yes, a wine bottle. You know how impossible it is to dig that cash out when you're tempted to go shopping for clothes or makeup? You literally have to break the thing to get to your savings. It works great and stops me from making impulsive purchases. Not to mention, when I travel to another country I like taking physical cash to exchange. I hope these little tips might have helped! What are your traveling hacks? Any trips planned?